Friendly societies made it easier for working people to obtain medical treatment in the days before the National Health Service. 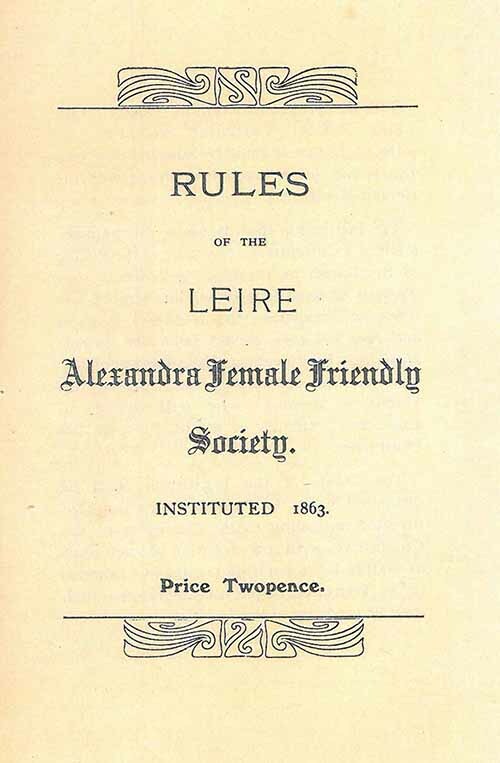 The Leire Alexandra Female Friendly Society accepted women from that village aged between 15 and 40 as members, provided they met the health and moral requirements of the Committee of Management. Rule 7 stated that ‘Any member who gives birth to an illegitimate child ceases at once to belong to the Institution: and any member leading a dissolute life shall be expelled by a vote of the Committee.’ In exchange for a small weekly payment, a member was entitled to 5s (25p) a week if confined to bed, and a grant was paid to the family on death. The appointed doctor received 4s (20p) a year for every member living within 5 miles of Leire Church. The accounts for 1928 listed forty-one female members plus one honorary male.